For her birthday, we threw a party at our home which had me stressed out. I knew that I would be running around like a chicken with my head cut off and would probably deprive myself of taking many pictures. (I was right.) 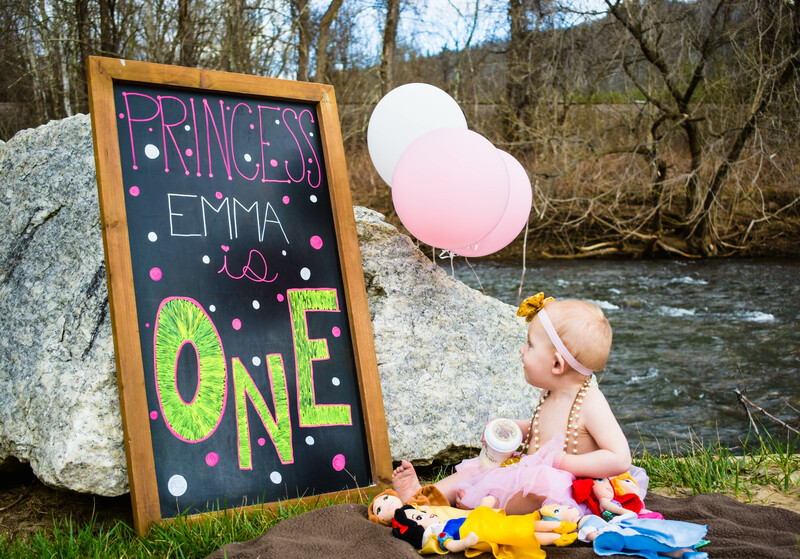 So the week before, Seth and I got a photographer to take pictures of Emma. She got to dive in to her very first cake- and HATED it! Here are some of my favorites! If you live in the area, definitely check out Hannah at Frozen in Time Photography! She was incredible!